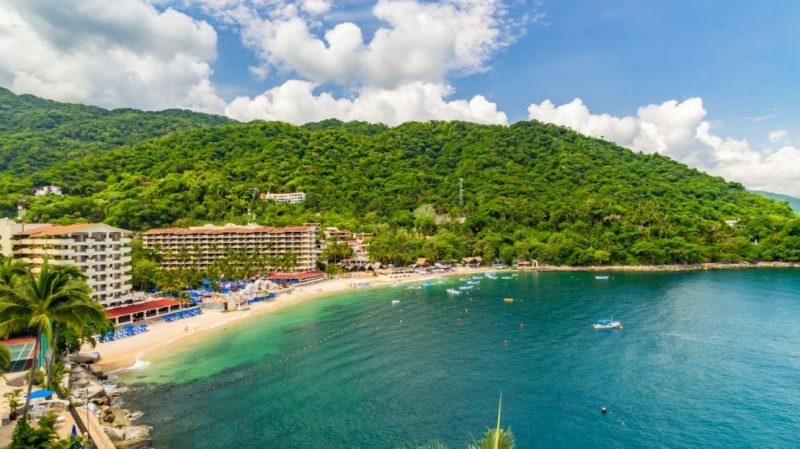 Once a picturesque little Mexican fishing village, Puerto Vallarta is now a major Pacific Coast vacation destination, known for its climate, scenery, and tropical beaches. Charming tourists since the days of The Love Boat and several major motion pictures, visitors continue to flock to this playground by the Pacific Ocean for strolling, shopping, sunning, sipping tequila and so much more! 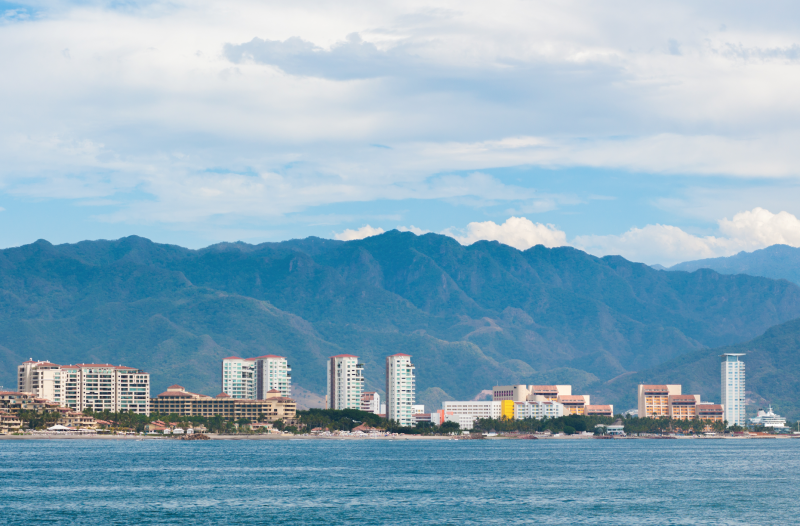 Puerto Vallarta is found where the mountains of the Sierra Madre kiss the Banderas Bay, so during your visit, you’ll have spectacular views of the sparkling blue Bahia de Banderas set against a background of palm covered mountains. But its setting is only the beginning. We suggest these eight unique Puerto Vallarta experiences to make the most of your time in this truly sensational spot by the shore. Playa Mismaloya is arguably how Puerto Vallarta achieved its fame. John Huston’s 1964 film The Night of the Iguana was mostly shot here, and fans of that film and its famous actors — as well as the 80s action movie “Predator” with Arnold Schwarzenegger — still flock to this nearby beach of the world-famous tropical destination for its charm, as well as its clear and calm waters. As with most coastal destinations, the diving and snorkeling are amazing here. See for yourself at Las Islas Marietas, a small uninhabited group of islands near Puerto Vallarta that are a landmark and eco-sanctuary, known to host a wide variety of species. Once a bombing test site for the Mexican government, Las Islas Marietas is now a dedicated natural wonder, prime for marine birdwatching and diving through caves and tunnels. Access is exceptionally limited, but don’t miss the chance to also explore the Hidden Beach (Playa del Amor) inside a cave that is as magnificent as it is mysterious. 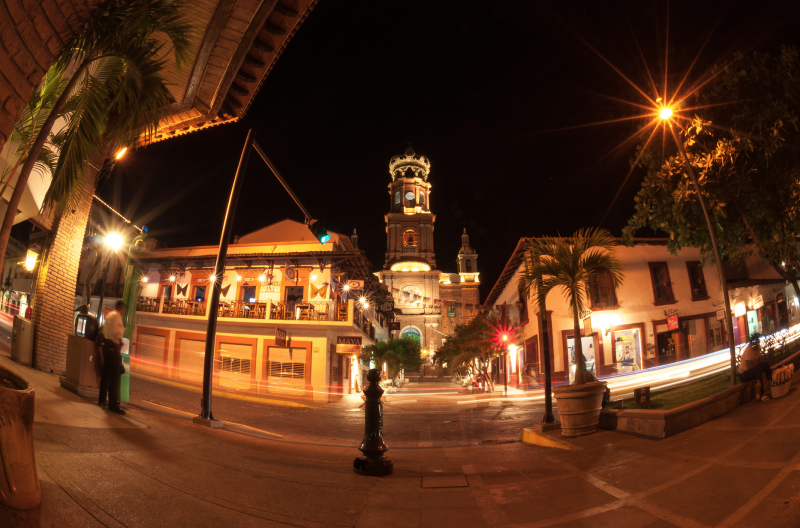 The Church of Our Lady of Guadalupe stands out in Puerto Vallarta’s skyline. The intimate church is a must for any visit to the city, not only because of its unique mix of neoclassical, baroque, and renaissance architectural styles, but also because it sits at the center of life in the town and is integral to its history and heritage. You’ll know it instantly by the wrought iron crown, hoisted by angels, that sits atop its tower. Bask in the sun and sanctuary of luxury accommodations. 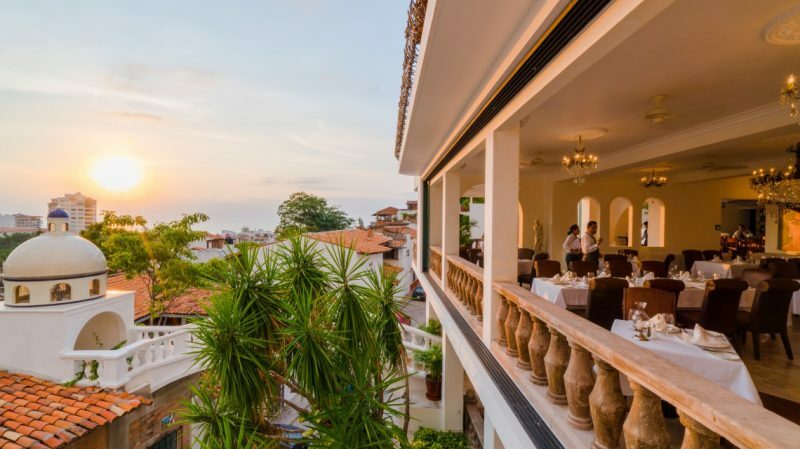 There as many types of places to stay in Puerto Vallarta as there are types of travelers who enjoy visiting, including hostels, boutique hotels, Bed & Breakfasts, and the ever-popular coastal resorts in the city’s north Hotel Zone. An exciting new all-inclusive option that recently opened is the Hilton’s adults-only extension, The Hacienda. A beachfront property next to the brand’s family friendly destination, The Hacienda boasts rooms and suites, designed by Ricardo Elias, that replicate the elegance of Mexico’s legendary haciendas. 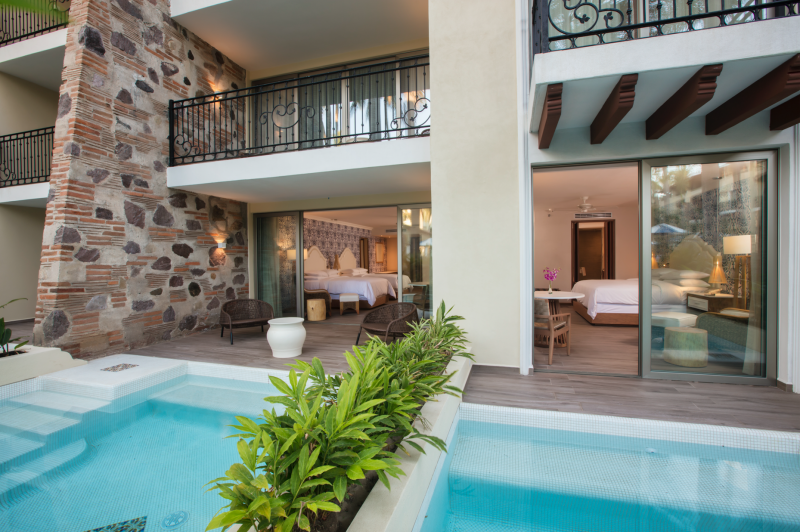 About 30 of the rooms also feature their own private plunge pool surrounded by lush vegetation. Now, that’s the luxe life! Private pool or no, there’s no excuse for staying in your room and not exploring all that the city has to offer! And no trip is complete without a stroll down Puerto Vallarta’s vibrant Malecón. 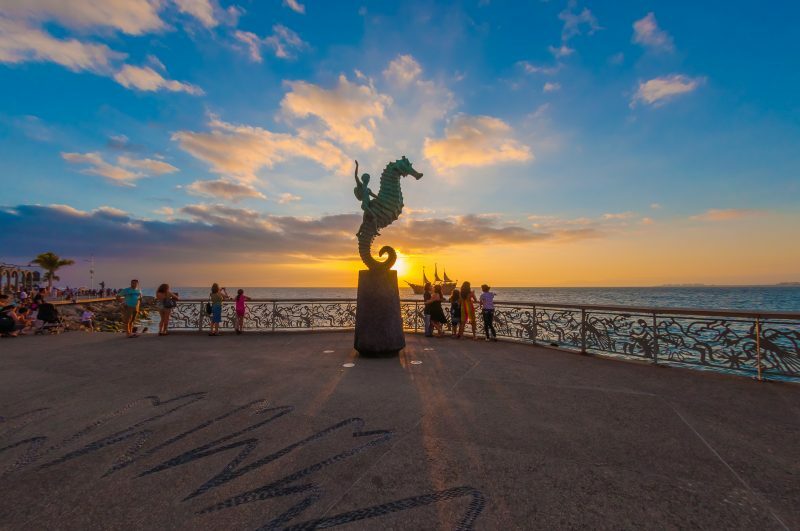 Literally translated to “esplanade along a waterfront,” the Malecón is the heart and soul of Puerto Vallarta, and is a quintessential place to take a sea side stroll. In essence, El Malecón is about eleven pedestrian friendly blocks of people watching, panoramic scenery, bay waves… and an open-air museum/art gallery: Dozens of sculptures pop up along the walk, which illustrate some of the city’s traditions while also providing an interactive delight. 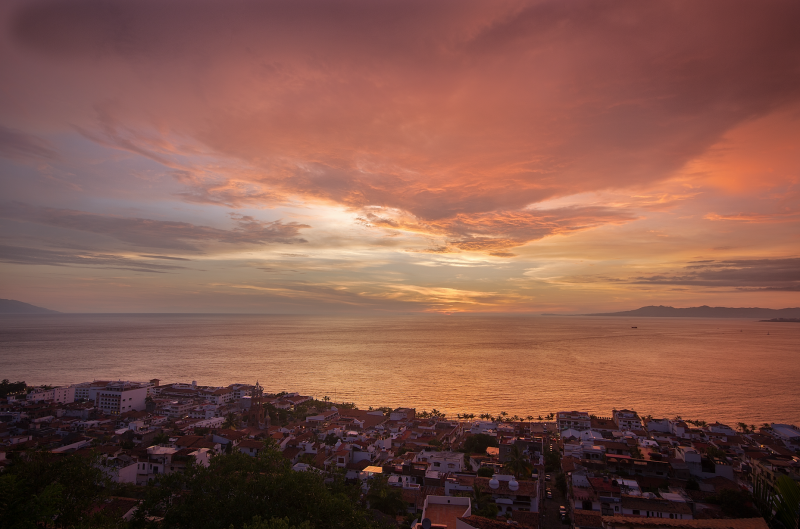 Puerto Vallarta’s Romantic Zone is the oldest and busiest part of the city and holds some of its best restaurants, nightlife, cafes, art markets, and designer boutiques. It has a quaint feeling, but with a feast of scenery, and plenty of satisfying street side taco stands. 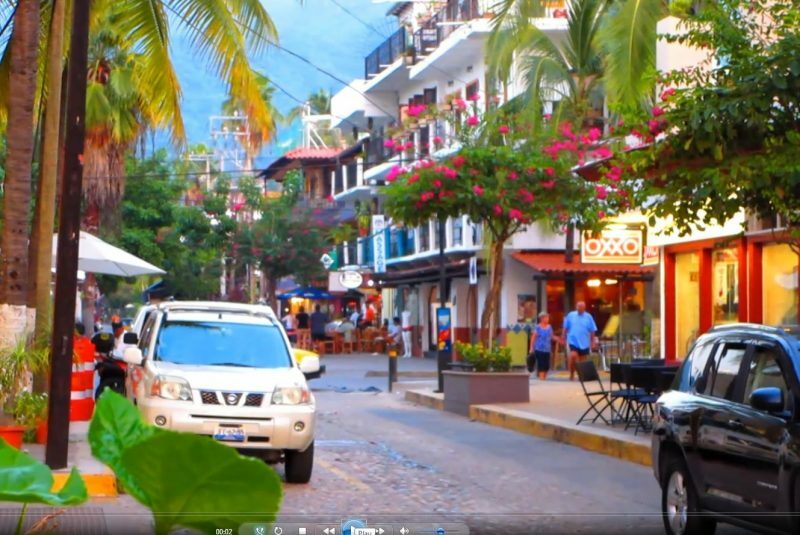 Filled with both tourists and locals, the Romantic Zone is buzzy year-round with people shuffling between art galleries on Basilio Badillo Street, buying fresh food at the oldest farmers’ market in town, and checking out the renovation of Puerto Vallarta’s 1st wooden pier (where the Love Boat would have docked!). Adjacent to the Romantic Zone is the Playa los Muertos, a top attraction despite its menacing name. The beach is often quite crowded, but the people-watching is spectacular, and there are always vendors to peruse, adventures — like parasailing — and ocean swims to enjoy here. 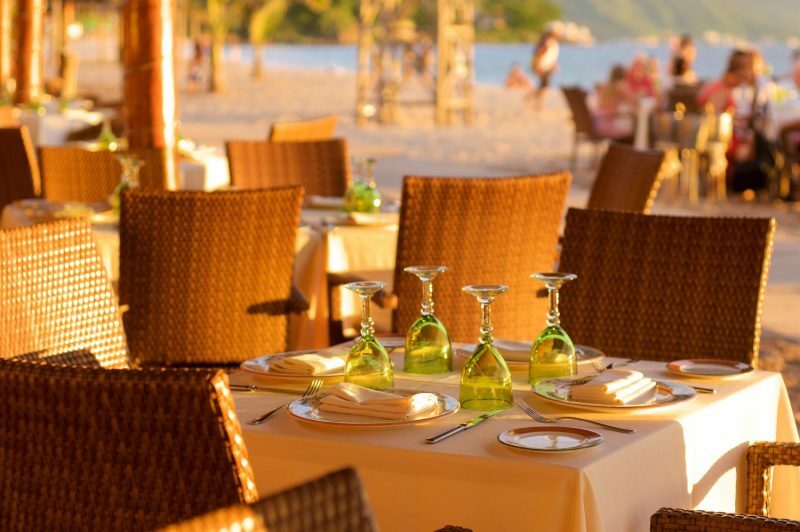 We suggest you take in the sailboats and sunset as you feast on decadent lobster at La Palapa Restaurant which sets up tables right on the beach! Or get super fancy with a stay, sun, and supper at Elizabeth Taylor’s former residence. That’s right, Casa Kimberly, the reinvention of the famous actress and Richard Burton’s former homes high atop a hill in the cobblestoned city center of Puerto Vallarta is now a romantic boutique hotel complete with suite-style accommodations, a blue tile pool, and highly rated Iguana Restaurant. You won’t want to miss crossing the legendary Venetian-style connecting bridge that Burton had built to keep the papparazzi from knowing when the lovers were visiting one another. Obviously there’s so much more to explore, but if you make sure to enjoy these exceptional experiences, your visit to Puerto Vallarta is certain to be sensational.